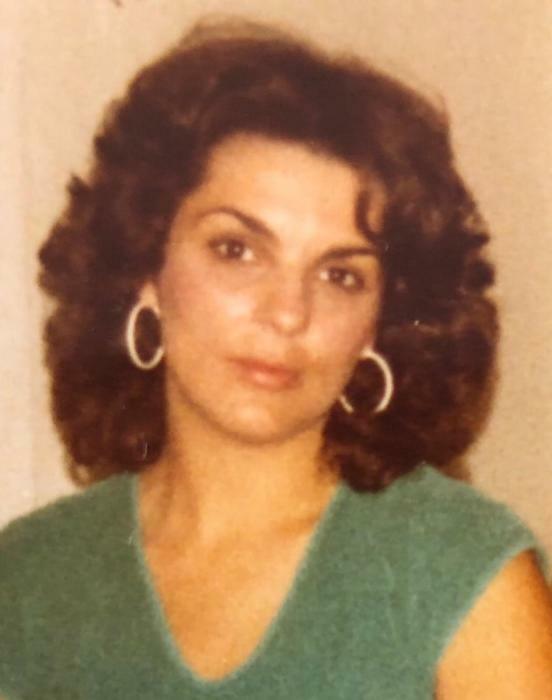 Janell Ocale “Bambi” “Wind Song” Harper, age 66, a Wilmington residence, died Wednesday January 15, 2018 at Seasons Hospice, Christiana Hospital with her family by her side. She was born October 28, 1952 in Wilmington, daughter of the late Hattie Marie and Vernon Edward Harper. Her greatest joy was spending time with her family. She dedicated her life to her daughter Angie and her two granddaughters, Anna and Laura. She loved going to her granddaughter Anna’s basketball games and her granddaughter Laura’s gymnastics meets. She spoke with her sister Marlene everyday on the phone. She loved the many visits and phone conversations with all eight of her siblings. She loved the many Harper family gatherings, Thanksgiving every year at her brother Jesses, birthday parties, boating with her brothers and sisters, and meeting her family at restaurants just to be with them. She loved her family and that is how she wanted to be remembered. Her late mother Hattie “Mountain Flower” gave everyone an Indian name. Her late sister Sandra “Sunny Day” May. Survived by her daughter Angela “Sunshine” Garyantes (husband; Mike “Star Fire” Garyantes), granddaughter Anna “Pretty Flower Buttercup” Garyantes, granddaughter Laura “Pretty Flower Summer Rose” Garyantes, sister Marlene “Spring Breeze White Feather” Harper (companion; Lonnie “Blue Haze” Kadish), sister Margie “Misty Morning” Blanchard (childrens father; Guy Chip “North Star” Blanchard), brother Mark “Rainbow Star” Harper (wife; Pam “Autumn Star” Harper), brother Jesse “White Eagle” Harper (wife; Sandy “Star Sapphire” Harper), brother Rocky “Rain Star” Harper (friend; Marvin “Sun Star” Foote), brother Aaron Ray “Silver Star” Harper, sister Lynette Nettie “Sun Beam All Star Dessert Flower Lotus Blossom Ocean Pearl Doll Gold Medalist 2” Harper (wife; Trudi “Red Rose of Summer” Harper), nephew Joey “Blue Skies Yosie” Dale (girlfriend; Lori “Winter Rose” Conley), nephew Rick “Raindrop” Blanchard (wife; Derly “Starlight” Blanchard), niece Jessica “Star Rose” Carlin (husband; Irvin “Bear“ Carlin), niece Lauren “Violet Star” Hicks, nephew Brian “Superstar” Blanchard, nephew Danny “Shining Star” Harper, nephew David “Day Star” Harper, Connor “Morning Star” Harper, niece Stephanie “Day Lilly Star” Harper, nephew Chris “Little Star” Harper, niece Kelly “Daisy Star” Harper, great niece Desarie “Faith Star” Dale, great niece Shantell “Hope Star” Dale, great nephew Brent “Bright Star” Blanchard, great nephew Ethen “Blue Star” Blanchard, great niece Shalene “Desert Rose” Blanchard, great nephew Eias “Sky Fire” Carlin, great niece Kaedyn “Pretty Flower Summer Rosebud” Hicks, great nephew Austen “Super Moon” Hicks, and great nephew Jasper “Day Star” Keyes. Janell “Bambi” Harper will be cremated with Corleto Latina Funeral Home and placed at Silverbrook Cemetery with her mom and sister.